As the month of November sets in, we have had a slight pause to look back on the intense last few months. From terrorist attacks to political upheaval, our little corner of the region has had a lot going on. It's been on our minds while we are working or when Frida is out of school because the teachers are on strike to protest the actions from Madrid. Now that fall has set in, the mornings smell of dew drying, wet leaves and wood smoke. It has been a long hard push to get things done here the past fourteen weeks. We now have three apartments that have been repaired, rewired, patched and painted. Little by little I am becoming more adept in the ways of the chisel, cement, mortar and plaster. We have been working with a Bolivian stonemason that is amazingly comfortable with rocks and cement. The way he can split a rock and make it fit beautifully into place is a true craft. There is so much to learn. We are half way through our second order of 17 tons of sand for cement. This house consumes cement like a dry sponge. Each time there is a plumbing or wiring problem it involves chipping out the old cement, fixing and filling again. So many of our exterior walls are in desperate need of repair with large gaps and cracks. Slowly we are picking out the old loose mortar and filling the voids. 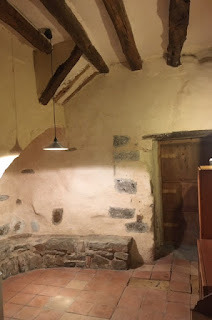 In August we completed a major rework of the wood oven with a new door arch, refractory brick floor, and some dome repair. Firing the oven has really been a great and challenging experience. Since the acorns have been falling the wild boar are churning up the fields and creek beds. On the weekends the hunters are in the mountains behind our house. Twice they have brought us a fully cleaned and skinned boar. Once the vet gives the OK to eat, we set in on breaking it down and marinating the legs and shoulders. The timing has been perfect as we had visitors from Seattle, Barcelona and friends of my wife from Estonia. It has been a true pleasure to get up early and fire up the oven, bake bread then roast dinner as the oven slowly cools. 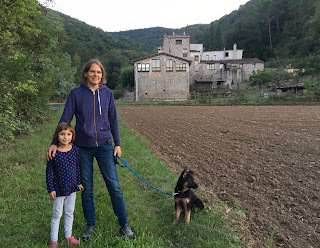 A couple months ago, we met a couple that own a small wood oven bakery in the nearby village of Tortella. They have been a great resource for advice on baking and repair for our wood oven. They also introduced us to a local miller that lives above the village in an old castle and mills organic rye, spelt and kamut. On Sunday's we have been trying to shed the work clothes and go exploring. It is absolutely mind blowing how many beautiful villages and farms are tucked into the surrounding area. 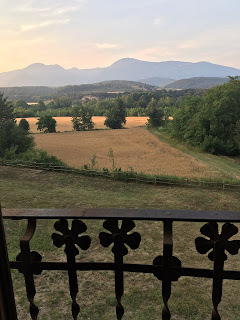 Heading into the Pyrenees mountains we have found several small villages with restaurants so good that we just look at each other and shake our heads. The views are like a fairy tale with the sound of cows grazing and clanking their bells. 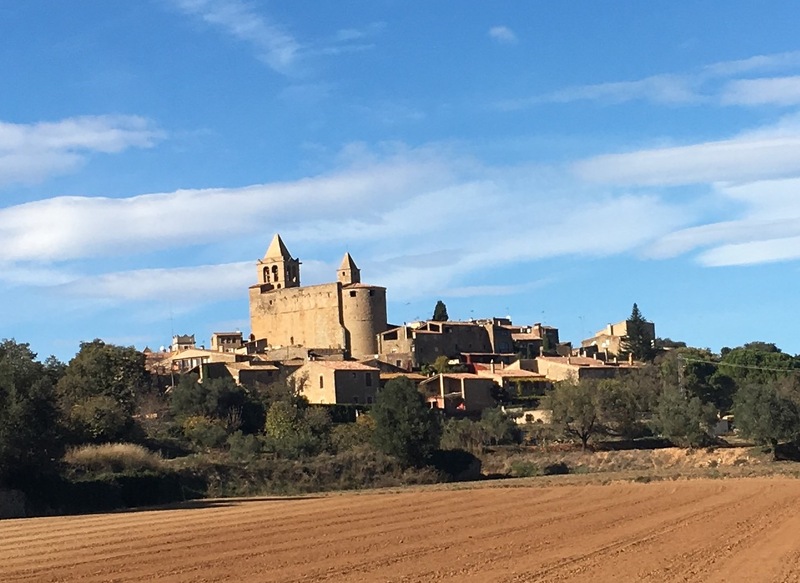 Heading East toward the coast, we have wound through olive orchards and vineyards down to the coastal villages Cadaques and Tamiriu. Again the food has been amazing and fresh. Our other favorite has been La Bisbal the center for antiques ceramics and my favorite, building salvage stores. During the week, when Frida is in school, Kaire has been tilling the soil in our upper and lower gardens planting onions leeks and garlic. She has launched a small and personal war against all of the ivy and vines that covered all the stone walls and bridge. It has been a very long time since they were cleaned and the roots have penetrated deep into the cracks between the rocks. Sometimes we're not sure what is holding the rocks in place, the roots or the mortar. As a result we have embarked on an epic project of dismantling and repairing all the loose and cracked areas. There is an old man at the hardware store that always tells me that with an old house demolition and build is one job doubled. Sometimes when we pull apart a section of wall with hundred pound rocks, I can't help wonder how long they have sat there and of the people who groaned and strained to put them there. Hopefully our small improvements will be looked upon in a few hundred years. 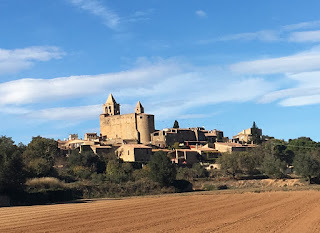 Welcome to Mas Costa Besalu! Springtime is just arriving as are we. We are busily preparing for our arrival to our new home in Besalu from Seattle. We hope to welcome you and share a new adventure very soon. The Mas Costa house was built in the 16th century. Guests will be able to enjoy three full apartments and seven individual rooms each with their own shower and W.C. They can relax in several common salons and a large shared kitchen. The main floor has a large dining area as well as a kitchen with a wood burning oven that we plan to develop for future classes and workshops. 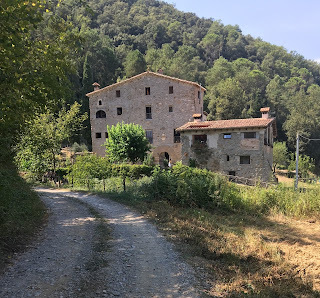 The house is situated among oak forests with many hiking and biking paths that lead to numerous ruins and neighboring villages. It is a perfect place to relax, enjoy nature and unwind. 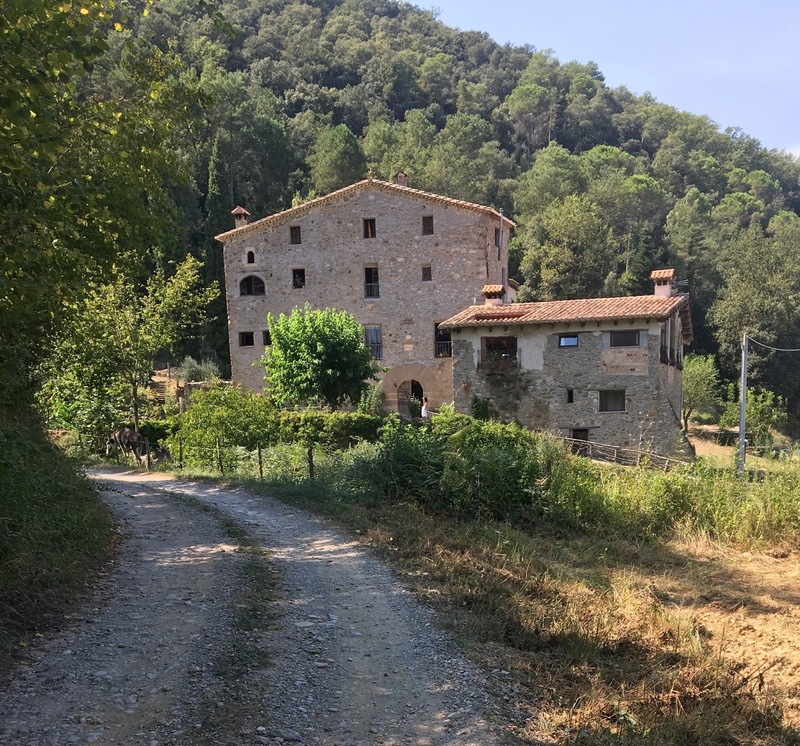 Located on the Camino de Sant Ferriol in the Garrotxa region of northeastern Spain, Mas Costa Besalu is well situated for travel to the Pyrenees, the Costa Brava, and a short trip from Barcelona or Perpignan.